Throwing ANIMATE onto an instance of Logic’s Drummer is a delight to work with. Information related to the kick, snare and cymbals are easily identifiable in the Filter's visual display. What's more, I've found Animate is quite exceptional at isolating specific instruments in a full mix for processing. The Filter section is a joy for quickly sorting out where you want Animate to deliver the goods. When you're having a tough time trying to isolate a certain frequency or instrument, Soloing can make light-weight of a tough situation. Soloing based on Filters can also allow for an exciting opportunity to "reverse engineer" an outcome. In my assessment, I found Animate quite easy to throw on and dial in. And it’s ability to unearth different mix elements is both transparent and surprisingly exact. Check out the Mastering The Mix website for more information. 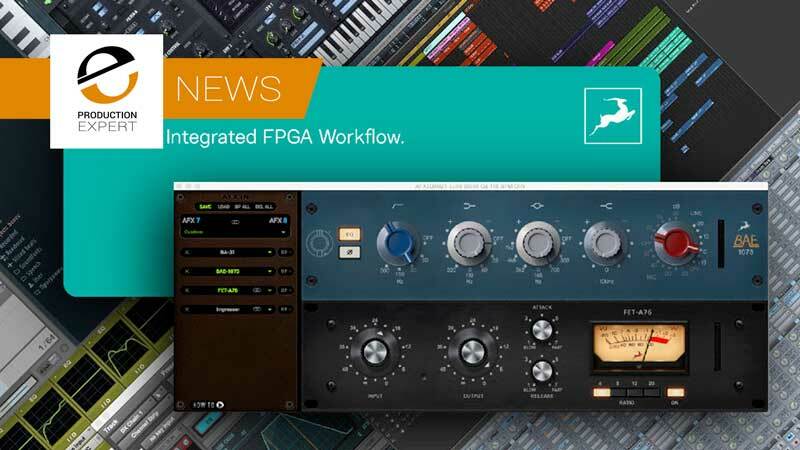 Bringing FPGA FX modelling to any DAW: AFX2DAW is an advanced plug-in and a software bridge between the Antelope Audio FPGA FX platform and any modern DAW. 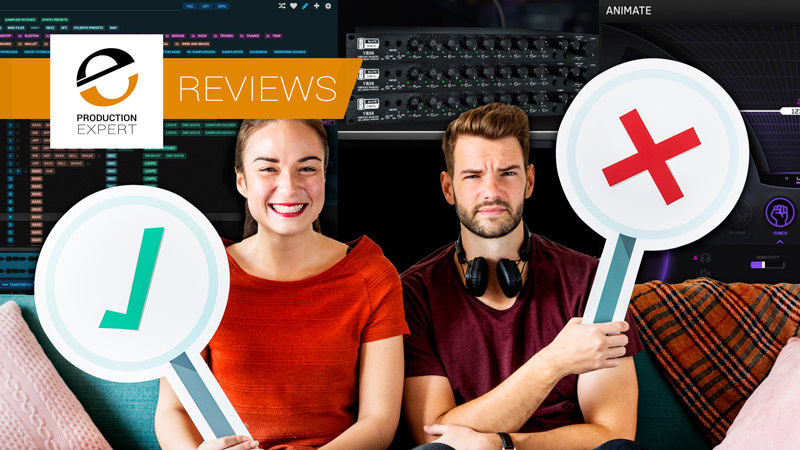 AFX2DAW connects the best of both worlds by effectively amalgamating the industry acclaimed Antelope Audio FPGA (Field Programmable Gate Array) modelling engine with the advantages of the fast and intuitive DAW workflow. This convenience comes with near-zero latency and without burdening the CPU of the computer. Don't miss out, upgrade now and get up to 16 channels for Discrete 4 or 32 channels for Discrete 8 directly in your DAW. The team at Antelope Audio are constantly pushing the boundaries of what their FPGA technology can do. The new AFX2DAW plug-in a very easy way to use the power of the FPGA platform in your mix process without the faff of using your DAW’s hardware insert facility, which can at best induce a touch of latency and at worst be damn right shaky (I’m talking to you Pro Tools). At the moment this plug-in only works with Antelope Discrete range (4 and 8) of interfaces but I’m sure in time it will be rolled out to the other Antelope units which employ the FPGA effects technology. As soon as hardware becomes available we will bring you a full tutorial and mix session using the new AFX2DAW plug-in. A great way to use the power of your Antelope Audio FPGA processing after you have finished tracking. The audio quality of the Antelope effects is very good indeed. You can learn more at the Antelope Audio website. Experience incredibly realistic chambers and rooms, expansive halls and cathedrals, classic non-linear reverbs and vintage plates. Like all other LiquidSonic reverbs, Illusion makes it incredibly easy to get great sounding reverbs sat in a mix. For more Information about Illusion By LiquidSonics. Available to buy from the LiquidSonics Store at the introductory price of $169 (RRP $249 from 1 December 2018), a 14 day free trial is also available for you to download to experience the vast pallet of reverbs on offer in this beautiful sounding ambience powerhouse! Softube are masters at developing plug-ins that encompass saturation and tone. We’ve had a quick play with Harmonics, a full review will follow shortly, and I can say without any doubt that this one of Softube’s best plug-in releases in years! In our initial tests we’ve found Harmonics to be particularly useful on drum, bass and electric guitar tracks… but we’ll test this further on some mix bus and mastering applications to find out if there isn’t an application in which Harmonics can’t shine… or saturate. Includes 5 very different sounding flavours of grit. As far as we can tell, none! For more information about Harmonics visit the Softube website.